2019 Time Use Consortium Activities have been scheduled. Click here for more information. The MTUL is designed to be a resource on time use statistics, research, and events for academics, policy makers, journalists and the general public. 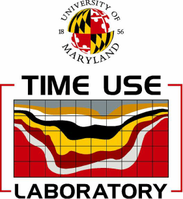 The Lab conducts innovative research on time use in under-researched populations and investigates new methods and tools for time use data collection.